Imagine unleashing Watson in the physical world. Give it eyes, ears, and touch, then let it act in that world with hands and feet and a face, not just as an action of force but also as an action of influence. This is embodied cognition: by placing the cognitive power of Watson in a robot, in an avatar, in the walls of an operating room, conference room, or spacecraft, or even an object in your hand, we take Watson’s ability to understand and reason and learn, and draw it closer to the natural ways in which humans live and work. In so doing, we augment individual human senses and abilities, giving Watson the ability see a patient’s complete medical condition, feel the flow of a supply chain, or orchestrate the tasks in a day in the life of an individual. At this touch point we encounter the intersection of big data and human presence, mediated by cognitive systems that reason and that converse with humans. Additionally, embodied cognition represents the extension of computing into the physical world, bringing cognition to the edge of the Internet of Things. 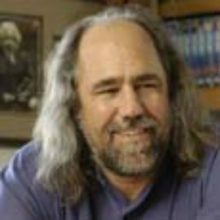 Grady Booch is Chief Scientist for Software Engineering as well as the Chief Scientist for Watson/M at IBM Research where he leads IBM’s research and development for embodied cognition. Having originated the term and the practice of object-oriented design, he is best known for his work in advancing the fields of software engineering and software architecture. A co-author of the Unified Modeling Language (UML), a founding member of the Agile Alliance, and a founding member of the Hillside Group, Grady has published six books and several hundred technical articles, including an ongoing column for IEEE Software. Grady is also a trustee for the Computer History Museum. He is an IBM Fellow, an ACM and IEEE Fellow, has been awarded the Lovelace Medal and has given the Turing Lecture for the BCS, and was recently named an IEEE Computer Pioneer. He is currently deeply involved in the development of cognitive systems, and is also developing a major trans-media documentary for public broadcast on the intersection of computing and the human experience.